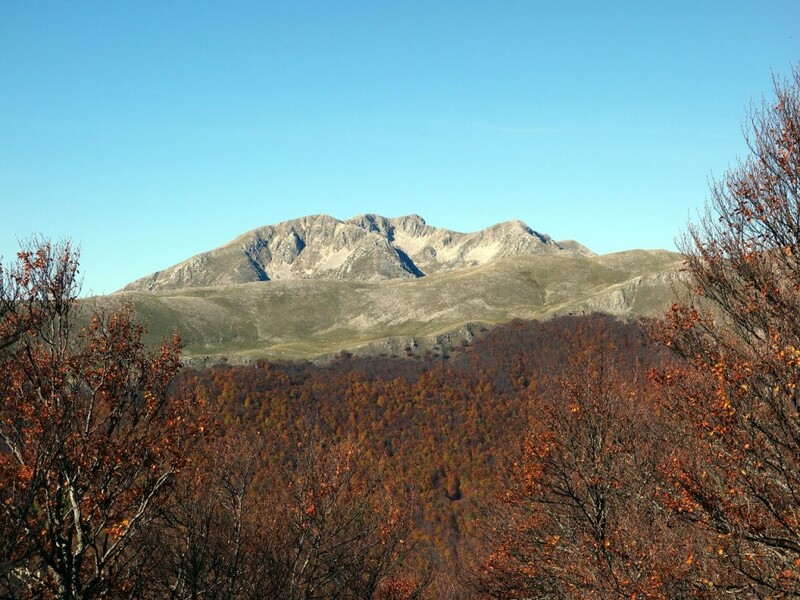 This week I’m going to talk about Abruzzo National Park, the wildlife haven. 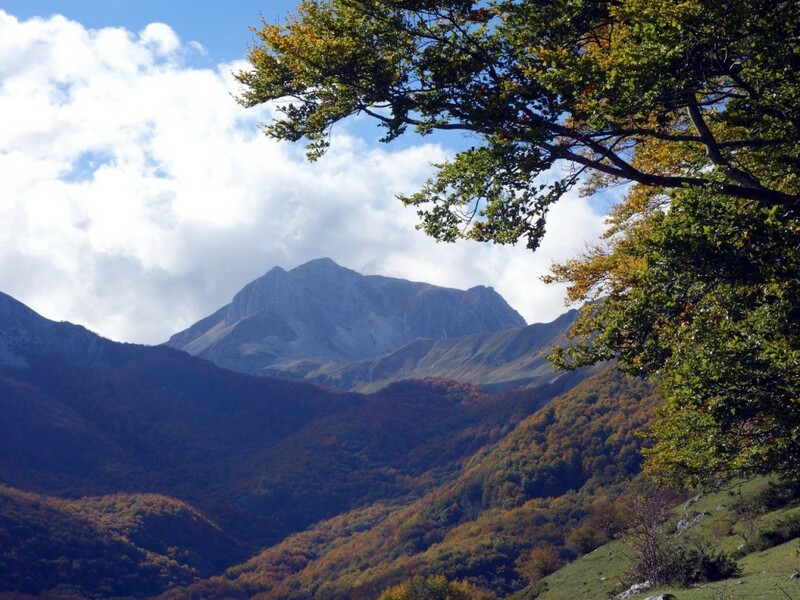 Abruzzo National Park, on the southern side of Abruzzo, is the wildlife capital of the Apennines. Its peaks are slightly lower in altitude than those of Gran Sasso and Maiella, but exist in distinct clusters, each with their own character. The peaks are aproned in forest which are a sanctuary for wildlife. They are particularly colourful in the autumn, when the trees turn from green to yellow to red to brown as they rise up the hillside into different climate zones. The park is perhaps best known for being one the last remaining refuges for the critically endangered Marsican brown bear (known as orso bruno marsicano in Italian). Only about 50 of these bears are believed to exist, mostly concentrated in Abruzzo National Park, with a few isolated animals in neighbouring ranges of the Apennines. Abruzzo National Park is also home to wolves (lupo) and lynx (lince), though like the bear these are shy animals that are difficult to spot (given that they are also wild and dangerous, perhaps this is not such a bad thing). More encouragingly, there are plenty of chamois (camoscio), red deer (cervo) and roe deer (capriolo), which can all be readily seen on bare mountaintops. The area contains three main massifs. To the south, Monti della Meta is a rugged tangle of rocky peaks, mostly rising from a long ridge running north to south. 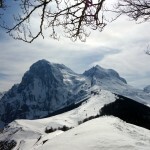 It contains a number of peaks over 2,000m in height, including the highest, Monte Petroso (2,249m) at the north end of the ridge, and the second highest, La Meta (2,242m) towards the southern end. Monti della Meta has been designated an Integral Reserve, which means that parts of it are off-limits to hikers for the benefit of wildlife. The rules are a little unclear, however. Some say that it’s closed during July and August, the breeding season for chamois, but it reopens in September. Others say it’s closed all year, but can be accessed on paint-marked trails or accompanied by a national park ranger. The locals don’t seem to be any clearer about the rules than tourists, but there is a national park office in Civitella Alfedena where you can presumably get more reliable information. Where Monti della Meta is dramatic and rocky, the Monti Marsicani massif to the north-west is classic hill-walking country. Once you have climbed above the forest, the land is green and gentle, with interconnected peaks and ridges curving around an east-facing combe. 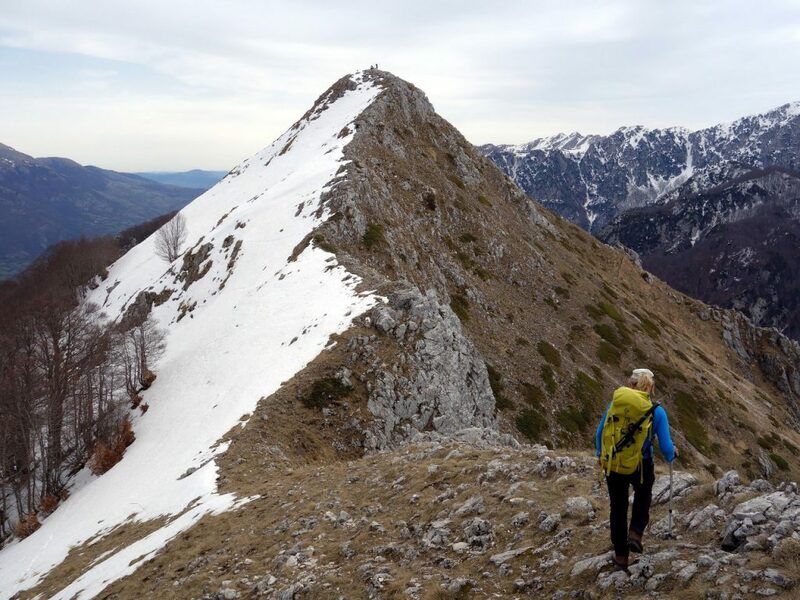 Its highest peak, Monte Marsicano Est (2,253m) sits atop a sheer crag with commanding views in all directions: to Gran Sasso and Maiella to the north, Sirente-Velino and Simbruini to the west, and the closer peaks of Abruzzo National park both south and east. The third principle massif rises to the north-east, and contains the area’s highest peak, Monte Greco (2,283m). 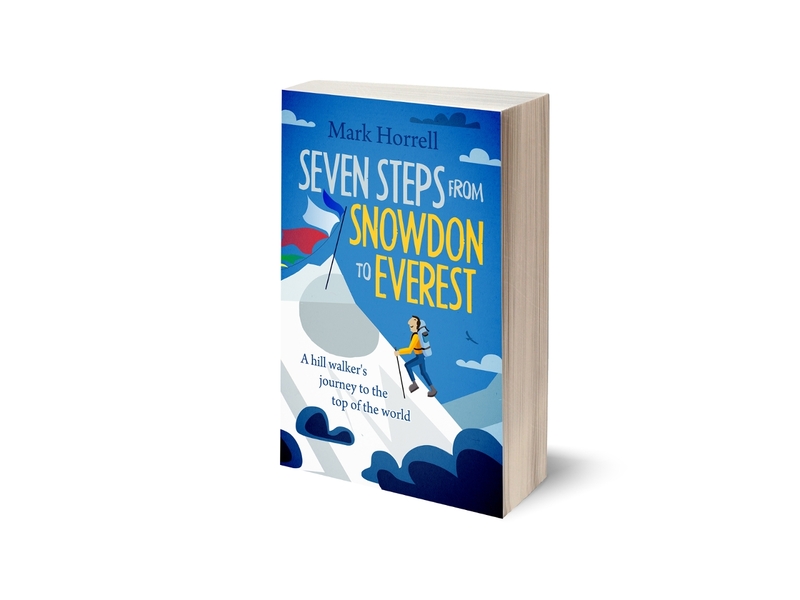 Strictly speaking it sits just outside the national park boundary, but it’s just as significant, so should not be left out of any guide to the area. It consists of two parallel ridges, the serrated Serra Rocca Chiarano (2,262m) to the east and the gentler ridge of Monte Greco to the west, divided by a high valley. Compared with its two neighbouring massifs, Monte Greco is bare of forest. Its position on the east side of Abruzzo means there are long views across the altipiano (high plateau) to Maiella and the Adriatic Sea. 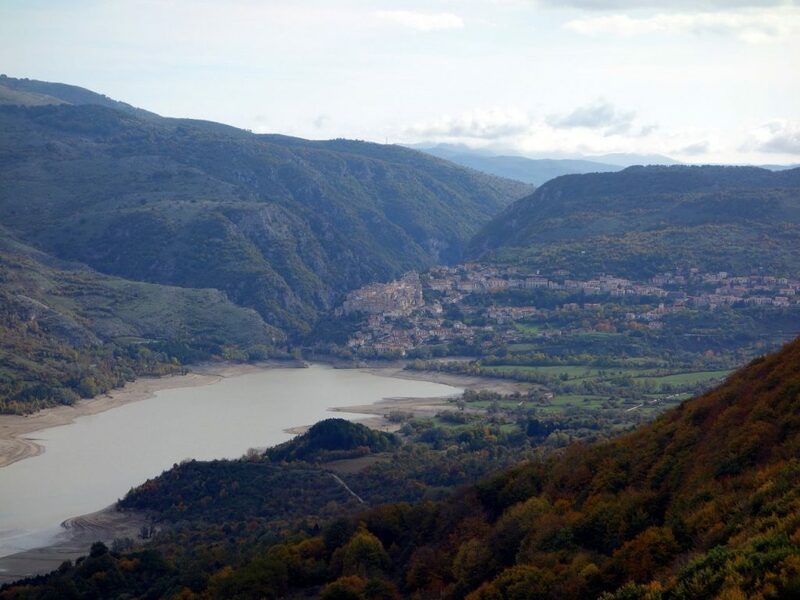 The heart of Abruzzo National Park is centred around Lago di Barrea, a picturesque lake enclosed by wooded hills, and surrounded by three historic villages – Barrea, Villetta Barrea and Civitella Alfedena. It’s a peaceful setting for sure and one we always enjoyed returning to. The other main centres are Pescasseroli, a lively town on a high plateau to the west, surrounded by a ring of mountains, and Scanno, which (by total contrast) lies at the end of a narrow, enclosed gorge to the north. Stay at Villetta Barrea, where there is a good bar and a couple of nice restaurants. 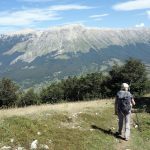 On the first day you can do a circular walk up Monte Marsicano, starting in Opi and climbing through forest to the summits, and coming down the bare slopes on the south side. On the second day climb up the Valle di Rose from Civitella Alfedena to the hut at Forca Resuni. If you’re allowed, you can make a short diversion to the summit of Monte Petroso before descending through the dense forests of Valle Jannanghera back to Civitella Alfedena. 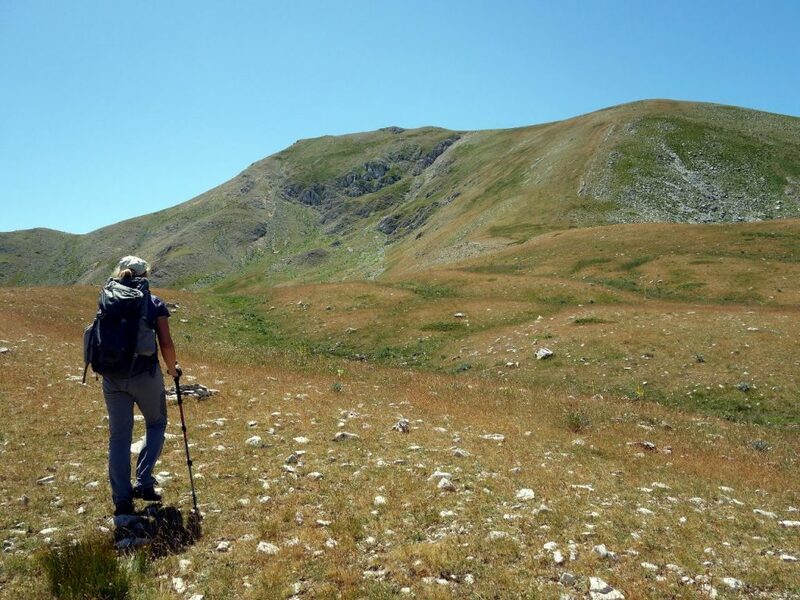 Monte Amaro di Opi (not to be confused with Monte Amaro in Maiella, the second highest mountain in the Apennines) is a small, isolated peak of 1,862m, rising above the road and wedged between Monte Marsicano to the north and Monte Petroso to the south. It’s just a 4 to 5-hour hike up and down, but it’s a satisfying ascent in the heart of the range, with an enjoyable summit ridge. 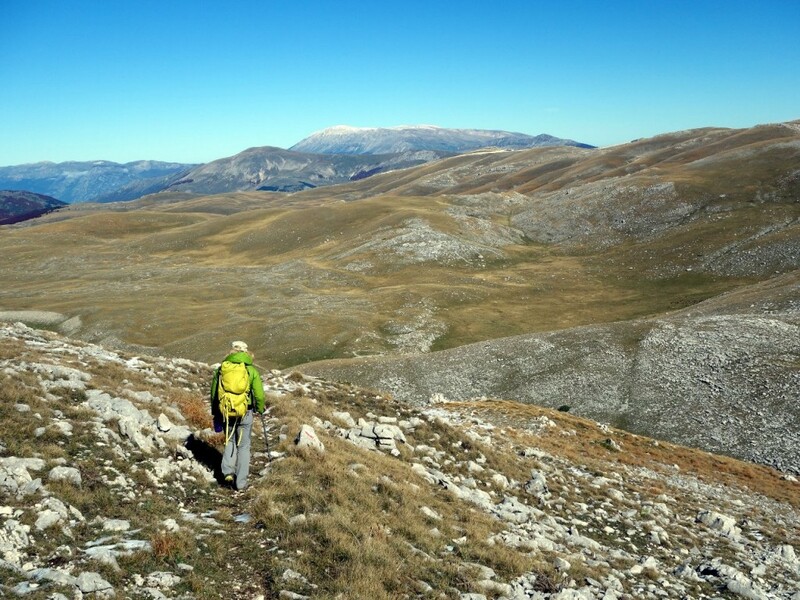 The Monte Marsicano eight from Pescasseroli is a long day out which takes you over the summits of no fewer than eight 2,000m peaks. I’ve done this myself, so I know it’s possible. One I’ve not completed, but could be worth a try, would be a traverse of both main ridges of the Monte Greco massif, starting from the road between Villetta Barrea and Scanno. This route would cross many summits over 2,000m, though only four of them (two on each ridge) are officially classified as Apennine 2,000ers. 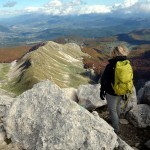 You can see a few hundred more photos of Abruzzo National Park in my Marsicani and Monti della Meta Flickr album. 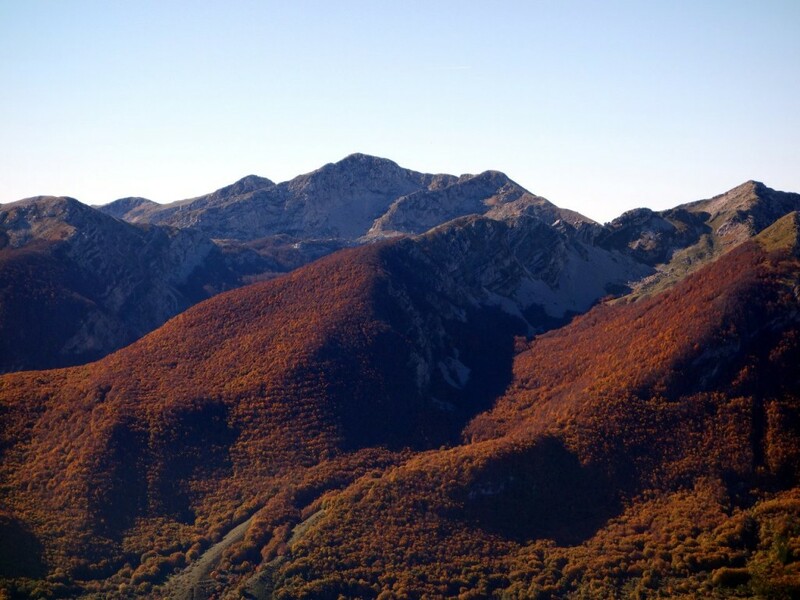 The Abruzzo Quartet: an autumn feast of mountains. 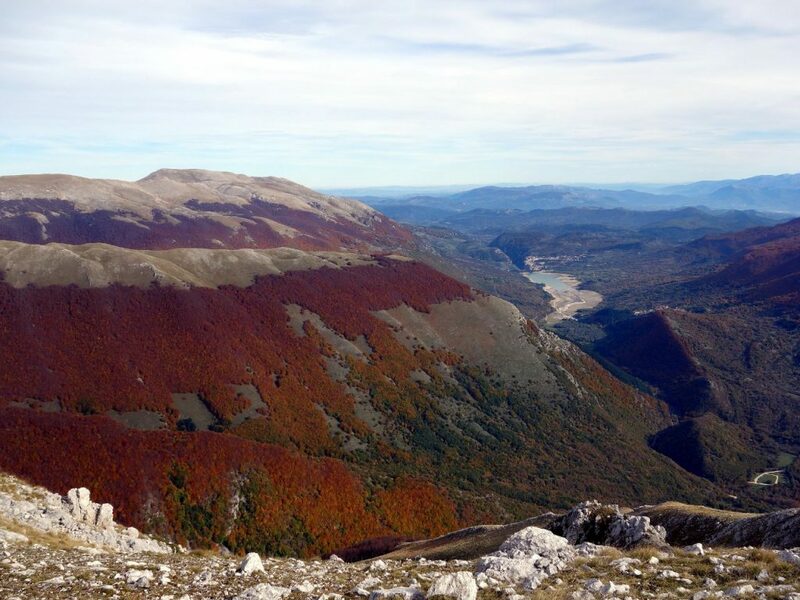 One fine autumn we climbed all four of the big peaks of Abruzzo National Park – La Meta, Monte Petroso, Monte Greco and Monte Marsicano – on successive weekends. Monte Marsicano up the back side: 8 summits in one day. 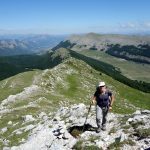 Trip report of a long day out from Pescasseroli, climbing eight Apennine 2,000ers in a single walk.